For other ships with the same name, see German submarine U-16. SM UB-16 was a German Type UB I submarine or U-boat in the German Imperial Navy (German: Kaiserliche Marine) during World War I. The submarine was sunk by a British submarine in May 1918. UB-16 spent her entire career in the Flanders Flotilla and sank 23 merchant ships, about half of them British fishing vessels. The U-boat was also responsible for sinking the new British destroyer Recruit in 1917. In 1918, UB-16 was converted into a minelayer with the replacement of her torpedo tubes with four mine chutes. On 10 May 1918, UB-16 was torpedoed by the British submarine E34 off the British east coast. Of the 16 men on board, only UB-16's commander survived the attack. UB-16 and sister boat UB-17 comprised an order of two submarines placed on 25 November from AG Weser of Bremen, a little more than three months after planning for the class began. UB-16 was laid down by Weser in Bremen on 21 February 1915. As built, UB-16 was 27.88 metres (91 ft 6 in) long, 3.15 metres (10 ft 4 in) abeam, and had a draught of 3.03 metres (9 ft 11 in). She had a single 59-brake-horsepower (44 kW) Körting 4-cylinder diesel engine for surface travel, and a single 119-shaft-horsepower (89 kW) Siemens-Schuckert electric motor for underwater travel, both attached to a single propeller shaft. Her top speeds were 7.45 knots (13.80 km/h; 8.57 mph), surfaced, and 6.24 knots (11.56 km/h; 7.18 mph), submerged. At more moderate speeds, she could sail up to 1,500 nautical miles (2,800 km; 1,700 mi) on the surface before refueling, and up to 45 nautical miles (83 km; 52 mi) submerged before recharging her batteries. Like all boats of the class, UB-16 was rated to a diving depth of 50 metres (160 ft), and could completely submerge in 33 seconds. UB-16 was armed with two 45-centimeter (17.7 in) torpedoes in two bow torpedo tubes. She was also outfitted for a single 8-millimeter (0.31 in) machine gun on deck. UB-16's standard complement consisted of one officer and thirteen enlisted men. After work on UB-16 was complete at the Weser yard, she was readied for rail shipment. The process of shipping a UB I boat involved breaking the submarine down into what was essentially a knock down kit. Each boat was broken into approximately fifteen pieces and loaded onto eight railway flatcars. In early 1915, the sections of UB-16 were shipped to Antwerp for assembly in what was typically a two- to three-week process. After UB-16 was assembled and launched on 26 April, she was loaded on a barge and taken through canals to Bruges where she underwent trials. The submarine was commissioned into the German Imperial Navy as SM UB-16 on 12 May 1915 under the command of Oberleutnant zur See (Oblt.) Hans Valentiner, a 26-year-old first-time U-boat commander. [Note 3] On 1 June, UB-16 joined the Flanders Flotilla (German: U-boote des Marinekorps U-Flotille Flandern), which had been organized on 29 March. When UB-16 joined the flotilla, Germany was in the midst of its first submarine offensive, begun in February. 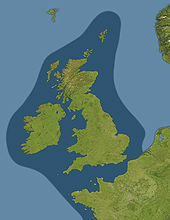 During this campaign, enemy vessels in the German-defined war zone (German: Kriegsgebiet), which encompassed all waters around the United Kingdom, were to be sunk. Vessels of neutral countries were not to be attacked unless they definitively could be identified as enemy vessels operating under a false flag. The German war zone (German: Kriegsgebiet) for the first submarine offensive. On 3 June, two days after joining the flotilla, Valentiner and UB-16 sank three British fishing vessels while patrolling between 40 and 50 nautical miles (74 and 93 km; 46 and 58 mi) off Lowestoft. All three of the sunken ships were smacks—sailing vessels traditionally rigged with red ochre sails—which were stopped, boarded by crewmen from UB-16, and sunk with explosives. On 12 June, UB-16 torpedoed and sank the 3,027-ton British cargo ship Leuctra 1.5 nautical miles (2.8 km; 1.7 mi) from the Shipwash Lightship. Nine days later, the U-boat torpedoed the British steamer Tunisiana off Lowestoft. After being hit, the 4,220-ton ship's master beached her on Barnard Sands to save the cargo of wheat shipped from Montreal, but the ship was a complete loss. Tunisiana was the largest ship sunk by UB-16. In her first month of action, UB-16's totals were five ships sunk of 7,432 tons, more than half of the flotilla's June total of 14,080 tons. No lives were lost on any of UB-16's June victims. UB-16's next two successes came on consecutive days in late July. On the 27th, Westward Ho!, a 57-ton smack was boarded and sunk by UB-16's crew 25 nautical miles (46 km; 29 mi) southeast of Lowestoft. The following day, the 1,821-ton Mangara was torpedoed without warning one-quarter nautical mile (500 m) from the Sizewell Buoy at Aldeburgh. Eleven men died when the ship and her cargo of iron ore were sent to the bottom. Although the Flanders Flotilla sank 31 ships in August, UB-16 did not add to that total. In a four-day span in September, however, she accounted for three of the eight ships sunk by the flotilla during the month. On the 7th, she sank two more fishing smacks, Emblem and Victorious, 44 nautical miles (81 km; 51 mi) from Lowestoft. [Note 4] On 10 September, UB-16 sank the 51-ton Nimrod in the same vicinity. Germany's submarine offensive was suspended on 18 September by the chief of the Admiralstab, Admiral Henning von Holtzendorff, in response to American demands after German submarines had sunk the Cunard Line steamer Lusitania in May 1915 and other high-profile sinkings in August and September. Holtzendorff's directive from ordered all U-boats out of the English Channel and the South-Western Approaches and required that all submarine activity in the North Sea be conducted strictly along prize regulations. UB-16 did not sink any vessels over the next four months, but resumed attacks on 18 January 1916, sinking three more smacks—Evelyn, Foam Crest, and Sunshine—between 25 and 35 nautical miles (46 and 65 km; 29 and 40 mi) from Lowestoft. By early 1916, the British blockade of Germany was beginning to have an effect on Germany and her imports. The Royal Navy had stopped and seized more cargo destined for Germany than the quantity of cargo sunk by German U-boats in the first submarine offensive. As a result, the German Imperial Navy began a second offensive against merchant shipping on 29 February. The final ground rules agreed upon by the German Admiralstab were that all enemy vessels in Germany's self-proclaimed war zone would be destroyed without warning, that enemy vessels outside the war zone would be destroyed only if armed, and—to avoid antagonizing the United States—that enemy passenger steamers were not to be attacked, regardless of whether in the war zone or not. UB-16's first successes in the new offensive came on 6 March when she sank the smacks Springflower and Young Harry about 30 nautical miles (56 km; 35 mi) east of Lowestoft. Valentiner and UB-16 attacked another pair of ships in early April. The 653-ton British ship Perth was torpedoed and sunk near Yarmouth on the 1st, while the Dutch sailing vessel Elziena Helena was damaged in an attack two days later east of Southwold. On 5 April, Valentiner was succeeded by Kapitänleutnant Paul Hundius, a 27-year-old, first-time U-boat skipper. [Note 5] In the first two weeks under Hundius' command, UB-16 sank two British steamers: the 2,978-ton Robert Adamson on the 10th, and the 3,091-ton Tregantle on the 22nd. Robert Adamson was sunk 3 nautical miles (5.6 km; 3.5 mi) from the Shipwash Lightship while en route from Dundee to Le Havre with a cargo of props. Tregantle had sailed from Galveston, Texas, via Norfolk, Virginia, with a load of wheat for Hull, but was sunk off Lowestoft. Near the end of April 1916, Admiral Reinhardt Scheer, the newest commander-in-chief of the German High Seas Fleet, called off the merchant shipping offensive and ordered all boats at sea to return, and all boats in port to remain there. UB-16 did not sink any more ships for the next eight months. In mid-May, Scheer completed plans to draw out part of the British Grand Fleet. The German High Seas Fleet would sortie for a raid on Sunderland, luring the British fleet across "'nests' of submarines and mine-fields". In support of the operation, UB-16 and five other Flanders boats set out at midnight 30/31 May to form a line 18 nautical miles (33 km; 21 mi) east of Lowestoft. [Note 6] This group was to intercept and attack the British light forces from Harwich, should they sortie north to join the battle. Unfortunately for the Germans, the British Admiralty had intelligence reports of the departure of the submarines which, coupled with an absence of attacks on shipping, aroused British suspicions. A delayed departure of the German High Seas Fleet for its sortie (which had been redirected to the Skagerrak) and the failure of several of the U-boats stationed to the north to receive the coded message warning of the British advance caused Scheer's anticipated ambush to be a "complete and disappointing failure". In UB-16's group, only UB-10 sighted the Harwich forces, and they were too far away to mount an attack. The failure of the submarine ambush to sink any British capital ships allowed the full Grand Fleet to engage the numerically inferior High Seas Fleet in the Battle of Jutland, which took place 31 May – 1 June. UB-16's activities over the next two months are not reported, but on 2 August the submarine was patrolling off the Mass Lightship and torpedoed the Norwegian steamer John Wilson, sending her cargo of food destined for London to the bottom. Later in August, Scheer set up another ambush for the British fleet, when he drew up plans for another High Seas Fleet raid on Sunderland (as had been the original intention in May). The German fleet planned to depart late in the day on 18 August and shell military targets the next morning. As in May, UB-16 was part of a group intended to attack the Harwich forces. As one of five boats forming the second line of boats from the Flanders Flotilla,[Note 7] UB-16 was stationed off Texel by the morning of 20 August. Once again, British intelligence had given warning of the impending attack and ambush, causing the Grand Fleet to sortie at 16:00 on 18 August, five hours before the German fleet sailed. Faulty intelligence caused Scheer initially to divert from Sunderland, and then to eventually call off the whole operation. Although U-boats to the north sank two British light cruisers,[Note 8] UB-16 and her group played no part in the action. Later, on 24 August, UB-16 was again patrolling off the Mass Lightship when Hundius stopped Velox, another Norwegian steamer headed for London. Crewmen from UB-16 boarded the 312-ton cargo ship, planted explosives, and sank the vessel and her general cargo. Velox was the last ship sunk by the UB-16 for nearly eight months, and the last sunk by Hundius before he was replaced by Oblt. Ernst Müller-Schwarz late in the month. Neither Müller-Schwartz, nor his January 1917 replacement, Oblt. Hans Ewald Niemer, sank any ships while in command of UB-16. By the time of the so-called "turnip winter" of 1916–17, the Royal Navy blockade of Germany had severely limited imports of food and fuel into Germany. Among the results were an increase in infant mortality and as many as 700,000 deaths attributed to starvation or hypothermia during the war. With the blockade having such dire consequences, Kaiser Wilhelm II personally approved a resumption of unrestricted submarine warfare to begin on 1 February 1917 to help force the British to make peace. The new rules of engagement specified that no ship was to be left afloat. With the new campaign already underway, Niemer was replaced as UB-16's commander by Oblt. Hugo Thielmann on 18 March. Although only in command of UB-16 for little more than a month, Thielmann sank one ship on UB-16. The 107-ton Dutch motor vessel Arie was sunk in the Hoofden area on 20 April; there were no reports of casualties. Kapitänleutnant Wilhelm Rhein was assigned to UB-16 on 23 April, and under his command, UB-16 may have been responsible for damaging the Norwegian cargo ship Kongsli on 26 April. [Note 9] On 9 August, UB-16 torpedoed and sank the British destroyer Recruit 3 nautical miles (5.6 km; 3.5 mi) from the North Hinder Lightship. Recruit, commissioned four months earlier, sank with 54 of her complement. [Note 10] Rhein was succeeded by Oblt. Günther Bachmann on 26 August, and he, in turn, was succeeded by Oblt. Alfred Krameyer on 25 December. Despite the fact that the British Zeebrugge Raid partially blocked the canal on 28 April 1918, UB-16 sortied from Zebrugge the following day. UB-16 and three sister boats, UB-10, UB-12, and UB-17, had all been converted to minelaying submarines by 1918. The conversion involved removing the bow section containing the pair of torpedo tubes from each U-boat and replacing it with a new bow containing four mine chutes capable of carrying two mines each. In the process, the boats were lengthened to 105 feet (32 m), and the displacement increased to 147 t (145 long tons) on the surface, and 161 t (158 long tons) below the surface. Exactly when this conversion was performed on UB-16 is not reported, but UB-12 was at the dockyard from November 1916 to January 1917. The lack of reported successes by UB-16 during this same span makes it a possibility that her conversion was accomplished in a similar timeframe. On 13 March, UB-16, now under the command of Oblt. Rudolf Stier, was responsible for sinking the 895-ton steamer Lisette near the Shipwash Lightship. One month later, on 13 April, the fishing smack Ruth was boarded and sunk by UB-16; Ruth was the final ship sunk by UB-16. On 28 April, British forces attempted to block the canal at Zeebrugge and bottle up the vessels of the Flanders Flotilla in the Zeebrugge Raid. In the raid, the British succeeded in sinking two obsolete cruisers, Iphigenia and Intrepid, in the narrowest part of the canal. British admiral Roger Keyes, who had planned the raid, believed that the Flanders Flotilla ships were bottled up for a long period of time. However, the following day, after the Germans had removed two piers, UB-16—under Oblt. Vicco von der Lühe, her newest commander—made the first sortie from Zeebrugge after the raid. UB-16 departed Zeebrugge for what would be the final time on 6 May 1918 for a patrol off Harwich. At 18:50 on 10 May, the British submarine E34 spotted UB-16 on the surface near Harwich. Although E34's commanding officer Lieutenant Pulleyne initially believed that UB-16 was a British submarine, he submerged out of caution because of UB-16's proximity to Harwich. After identifying the submarine as a German boat, Pulleyne maneuvered to attack. At 19:15, E34 launched two torpedoes at UB-16 from a distance of 400 yards (370 m). The first hit UB-16's bow and failed to detonate, but the second hit below the conning tower and exploded, sinking UB-16 at position 52°6′N 2°1′E﻿ / ﻿52.100°N 2.017°E﻿ / 52.100; 2.017Coordinates: 52°6′N 2°1′E﻿ / ﻿52.100°N 2.017°E﻿ / 52.100; 2.017 in less than five minutes. After a further five minutes, E34 surfaced near where UB-16 had gone down, and rescued von der Lühe from the oily water; he was the only survivor. Von der Lühe was imprisoned in a British prisoner of war camp, where he died of influenza on 1 March 1919. British divers dispatched to the site of UB-16's demise a week later could only find some plating and a few pipes and concluded that UB-16 had disintegrated after the torpedo hit. ^ A further refinement of the design—replacing the torpedo tubes with mine chutes but changing little else—evolved into the Type UC I coastal minelaying submarine. See: Miller, p. 458. ^ Valentiner was in the Navy's April 1907 cadet class with 34 other future U-boat captains, including Werner Fürbringer, Heino von Heimburg, Hans Howaldt, Otto Steinbrinck, and Ralph Wenninger. See: Helgason, Guðmundur. "WWI Officer Crews: Crew 4/07". German and Austrian U-boats of World War I - Kaiserliche Marine - Uboat.net. Retrieved 12 March 2009. ^ UB-16 was probably patrolling with sister boat UB-2 during this time. UB-2 is credited with sinking two fishing smacks on 7 September in the same location. See: Helgason, Guðmundur. Helgason, Guðmundur. "Ships hit during WWI: Constance". German and Austrian U-boats of World War I - Kaiserliche Marine - Uboat.net. , Helgason, Guðmundur. "Ships hit during WWI: Emanuel". German and Austrian U-boats of World War I - Kaiserliche Marine - Uboat.net. Retrieved 12 March 2009. ^ Hundius was in the Navy's April 1909 cadet class with 60 other future U-boat captains, including Johannes Lohs. Three of UB-16's later commanders—Hugo Thielmann, Günther Bachmann, and Rudolf Stier—were also members of this cadet class. See: Helgason, Guðmundur. "WWI Officer Crews: Crew 4/09". German and Austrian U-boats of World War I - Kaiserliche Marine - Uboat.net. Retrieved 12 March 2009. ^ The other five boats for the May action were UB-6, UB-10, UB-12, UB-17, and UB-29. ^ The other four boats for the August action were UB-6, UB-12, UB-19, and UB-37. ^ U-52 sank HMS Nottingham; U-66 and U-63 teamed up to sink HMS Falmouth. ^ a b According to Uboat.net, Kongsli is identified as being damaged by UB-16 on 26 April 1917 under the command of Kurt Siewert. According to the list of commanding officers of UB-16, Wilhelm Rhein was in command of UB-16 on that date. Further, Kurt Siewert is not listed as commanding officer of any U-boat until assuming command of UC-31 on 21 July 1917. ^ Coincidentally, the previous Recruit, a destroyer launched in 1896, had been sunk by UB-6, a sister boat of UB-16 in May 1915. See: Helgason, Guðmundur. "Ships hit during WWI: Recruit (hms)". German and Austrian U-boats of World War I - Kaiserliche Marine - Uboat.net. Retrieved 12 March 2009. ^ a b c d e f g h i j k l m n o p Helgason, Guðmundur. "WWI U-boats: UB 16". German and Austrian U-boats of World War I - Kaiserliche Marine - Uboat.net. Retrieved 19 February 2009. ^ a b Tarrant, p. 172. ^ Gröner 1991, pp. 22-23. ^ a b c Miller, pp. 46–47. ^ a b Karau, p. 48. ^ a b c d Karau, p. 49. ^ Helgason, Guðmundur. "WWI U-boat commanders: Hans Valentiner". German and Austrian U-boats of World War I - Kaiserliche Marine - Uboat.net. Retrieved 12 March 2009. ^ a b c d e f g h i j k l Helgason, Guðmundur. "Ships hit by UB 16". German and Austrian U-boats of World War I - Kaiserliche Marine - Uboat.net. Retrieved 6 March 2009. ^ Helgason, Guðmundur. Helgason, Guðmundur. "Ships hit during WWI: Boy Horace". German and Austrian U-boats of World War I - Kaiserliche Marine - Uboat.net. , Helgason, Guðmundur. "Ships hit during WWI: E&c". German and Austrian U-boats of World War I - Kaiserliche Marine - Uboat.net. , Helgason, Guðmundur. "Ships hit during WWI: Economy". German and Austrian U-boats of World War I - Kaiserliche Marine - Uboat.net. Retrieved 12 March 2009. ^ Penwith District Council (2009). "Boat Types". Penzance: Penwith District Council. Retrieved 6 March 2009. ^ a b c d "British fishing vessels lost at sea due to enemy action: 1914, 1915, 1916 in date order". World War 1 at Sea. Naval-History.net. 9 January 2009. Retrieved 4 March 2009. The information on the website is extracted from British Vessels Lost at Sea: 1914–1918. His Majesty's Stationery Office. 1919. ^ Helgason, Guðmundur. "Ships hit during WWI: Leuctra". German and Austrian U-boats of World War I - Kaiserliche Marine - Uboat.net. Retrieved 12 March 2009. ^ a b "British merchant vessels lost at sea due to enemy action: 1914, 1915, 1916 in date order". World War 1 at Sea. Naval-History.net. 9 January 2009. Retrieved 6 March 2009. The information on the website is extracted from British Vessels Lost at Sea: 1914–1918. His Majesty's Stationery Office. 1919. ^ a b Helgason, Guðmundur. "Ships hit during WWI: Tunisiana". German and Austrian U-boats of World War I - Kaiserliche Marine - Uboat.net. Retrieved 12 March 2009. ^ "Beaches torpedoed ship" (pdf). The New York Times. 24 June 1915. Retrieved 12 March 2009. ^ a b Tarrant, p. 148. ^ Helgason, Guðmundur. "Ships hit during WWI: Westward Ho". German and Austrian U-boats of World War I - Kaiserliche Marine - Uboat.net. Retrieved 12 March 2009. ^ Helgason, Guðmundur. "Ships hit during WWI: Mangara". German and Austrian U-boats of World War I - Kaiserliche Marine - Uboat.net. Retrieved 12 March 2009. ^ Helgason, Guðmundur. "Ships hit during WWI: Emblem". German and Austrian U-boats of World War I - Kaiserliche Marine - Uboat.net. Retrieved 12 March 2009. ^ Helgason, Guðmundur. "Ships hit during WWI: Victorious". German and Austrian U-boats of World War I - Kaiserliche Marine - Uboat.net. Retrieved 12 March 2009. ^ Helgason, Guðmundur. "Ships hit during WWI: Nimrod". German and Austrian U-boats of World War I - Kaiserliche Marine - Uboat.net. Retrieved 12 March 2009. ^ Helgason, Guðmundur. Helgason, Guðmundur. "Ships hit during WWI: Evelyn". German and Austrian U-boats of World War I - Kaiserliche Marine - Uboat.net. , Helgason, Guðmundur. "Ships hit during WWI: Foam Crest". German and Austrian U-boats of World War I - Kaiserliche Marine - Uboat.net. ,	 Helgason, Guðmundur. "Ships hit during WWI: Sunshine". German and Austrian U-boats of World War I - Kaiserliche Marine - Uboat.net. Retrieved 12 March 2009. ^ a b Tarrant, p. 26. ^ Helgason, Guðmundur. Helgason, Guðmundur. "Ships hit during WWI: Springflower". German and Austrian U-boats of World War I - Kaiserliche Marine - Uboat.net. , Helgason, Guðmundur. "Ships hit during WWI: Young Harry". German and Austrian U-boats of World War I - Kaiserliche Marine - Uboat.net. Retrieved 12 March 2009. ^ Helgason, Guðmundur. "Ships hit during WWI: Perth". German and Austrian U-boats of World War I - Kaiserliche Marine - Uboat.net. Retrieved 12 March 2009. ^ Helgason, Guðmundur. "Ships hit during WWI: Elziena Helena (d.)". German and Austrian U-boats of World War I - Kaiserliche Marine - Uboat.net. Retrieved 12 March 2009. ^ Helgason, Guðmundur. "WWI U-boat commanders: Paul Hundius". German and Austrian U-boats of World War I - Kaiserliche Marine - Uboat.net. Retrieved 12 March 2009. ^ a b Helgason, Guðmundur. "Ships hit during WWI: Robert Adamson". German and Austrian U-boats of World War I - Kaiserliche Marine - Uboat.net. Retrieved 12 March 2009. ^ a b Helgason, Guðmundur. "Ships hit during WWI: Tregantle". German and Austrian U-boats of World War I - Kaiserliche Marine - Uboat.net. Retrieved 12 March 2009. ^ a b c Gibson and Prendergast, p. 97. ^ a b c d e Tarrant, p. 32. ^ Helgason, Guðmundur. "Ships hit during WWI: John Wilson". German and Austrian U-boats of World War I - Kaiserliche Marine - Uboat.net. Retrieved 12 March 2009. ^ "John Wilson (5600515)". Miramar Ship Index. Retrieved 12 March 2009. ^ "Velox (5615360)". Miramar Ship Index. Retrieved 12 March 2009. ^ Helgason, Guðmundur. "Ships hit during WWI: Velox". German and Austrian U-boats of World War I - Kaiserliche Marine - Uboat.net. Retrieved 12 March 2009. ^ a b Helgason, Guðmundur. "WWI U-boat commanders: Ernst Müller-Schwarz". German and Austrian U-boats of World War I - Kaiserliche Marine - Uboat.net. Retrieved 12 March 2009. ^ a b Helgason, Guðmundur. "WWI U-boat commanders: Hans Ewald Niemer". German and Austrian U-boats of World War I - Kaiserliche Marine - Uboat.net. Retrieved 12 March 2009. ^ Helgason, Guðmundur. "WWI U-boat commanders: Hugo Thielmann". German and Austrian U-boats of World War I - Kaiserliche Marine - Uboat.net. Retrieved 12 March 2009. ^ Helgason, Guðmundur. "Ships hit during WWI: Arie". German and Austrian U-boats of World War I - Kaiserliche Marine - Uboat.net. Retrieved 12 March 2009. ^ Helgason, Guðmundur. "WWI U-boat commanders: Wilhelm Rhein". German and Austrian U-boats of World War I - Kaiserliche Marine - Uboat.net. Retrieved 12 March 2009. ^ Helgason, Guðmundur. "Ships hit during WWI: Kongsli (d.)". German and Austrian U-boats of World War I - Kaiserliche Marine - Uboat.net. Retrieved 12 March 2009. ^ "Recruit (6106099)". Miramar Ship Index. Retrieved 12 March 2009. ^ Helgason, Guðmundur. "Ships hit during WWI: Recruit (hms)". German and Austrian U-boats of World War I - Kaiserliche Marine - Uboat.net. Retrieved 12 March 2009. ^ Helgason, Guðmundur. "WWI U-boat commanders: Günther Bachmann". German and Austrian U-boats of World War I - Kaiserliche Marine - Uboat.net. Retrieved 12 March 2009. ^ Helgason, Guðmundur. "WWI U-boat commanders: Alfred Krameyer". German and Austrian U-boats of World War I - Kaiserliche Marine - Uboat.net. Retrieved 12 March 2009. ^ Helgason, Guðmundur. "WWI U-boat commanders: Rudolf Stier". German and Austrian U-boats of World War I - Kaiserliche Marine - Uboat.net. Retrieved 12 March 2009. ^ Helgason, Guðmundur. "Ships hit during WWI: Lisette". German and Austrian U-boats of World War I - Kaiserliche Marine - Uboat.net. Retrieved 12 March 2009. ^ Helgason, Guðmundur. "Ships hit during WWI: Ruth". German and Austrian U-boats of World War I - Kaiserliche Marine - Uboat.net. Retrieved 12 March 2009. ^ a b Halpern, p. 415. ^ a b Compton-Hall, p. 308. ^ Helgason, Guðmundur. "WWI U-boat commanders: Vicco von der Lühe". German and Austrian U-boats of World War I - Kaiserliche Marine - Uboat.net. Retrieved 12 March 2009. Compton-Hall, Richard (2004) . Submarines at War, 1914–18. Penzance: Periscope Publishing. ISBN 978-1-904381-21-1. OCLC 57639764. Gibson, R. H.; Maurice Prendergast (2003) . The German Submarine War, 1914–1918. Annapolis, Maryland: Naval Institute Press. ISBN 9781591143147. OCLC 52924732. Grant, Robert M. (2003). U-boat Hunters: Code Breakers, Divers and the Defeat of the U-boats, 1914–1918. Annapolis, Maryland: Naval Institute Press. ISBN 978-1-59114-889-0. OCLC 54688427. Karau, Mark D. (2003). Wielding the Dagger: the MarineKorps Flandern and the German War Effort, 1914–1918. Westport, Connecticut: Praeger. ISBN 978-0-313-32475-8. OCLC 51204317. Messimer, Dwight R. (2002). Verschollen: World War I U-boat losses. Annapolis, Maryland: Naval Institute Press. ISBN 978-1-55750-475-3. OCLC 231973419. Miller, David (2002). The Illustrated Directory of Submarines of the World. St. Paul, Minnesota: MBI Pub. Co. ISBN 978-0-7603-1345-9. OCLC 50208951. Williamson, Gordon (2002). U-boats of the Kaiser's Navy. Oxford: Osprey. ISBN 978-1-84176-362-0. OCLC 48627495. This page was last edited on 24 June 2018, at 08:06 (UTC).